Volunteering on a kibbutz during a career break is a unique way to see Israel - and learn more about yourself at the same time. Working on one of Israel's many kibbutzim is incredibly hard work, both physically and mentally, but people who do it say it's a once-in-a-lifetime experience that you won't find anywhere else. A kibbutz is a voluntary community sort of like a commune, started at the turn of the century by Jewish immigrants to Israel. Originally based on the principles of agriculture, today most kibbutzim, the plural of kibbutz, combine socialist with Zionist principles to make their own unique communities. Kibbutz in Hebrew means communal settlement. It works as a democracy, and people have no possessions of their own apart from personal ones. Estimates say that Israel has roughly 270 kibbutzim, less than five percent of the country's total population. In the past most practiced communal child-rearing practices, today not all do. Kibbutzniks are people who live permanently on kibbutzim. But on order for the kibbutz to flourish, most take on regular volunteers, who stay for anywhere from a few weeks to a few months, usually not more than six except in exceptional circumstances. Each volunteer does work according to their own ability: some farm, some work in the kitchen or wash dishes, others teach English to immigrant children. All contribute to the life of the kibbutz. Do I Have to Be Jewish? No - but you do have to support the principles of the kibbutz. Kibbutz volunteers come from all over the world, and are of many different faiths and nationalities. Some come to support Zionism, others come to learn Hebrew or simply have a new adventure. Be aware that there are minimum age limits to work on a kibbutz and, in some cases, maximum ones too. Working on a kibbutz is physically demanding, and you are required to work long hours. 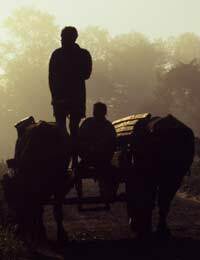 During harvest time, for example, you must work up to 10 hours per day. It's important to be in good physical and mental shape. If you're used to luxury living, forget it. Working on a kibbutz means Spartan conditions with little in the way of extras. You'll be expected to conform to the ways of the kibbutzim, as you are their guest. If you don't respect their ways, stay home. Expect little or no privacy. Be prepared to earn a pittance. Volunteers receive pocket money, lodging and three meals a day for their hard work, although most kibbutzim also provide some trips and lectures. The work can be dangerous. In January, 2008, a volunteer from Ecuador was killed by a Palestinian sniper while working in a kibbutz potato field in the Negev. Working on a kibbutz can be a fascinating way to see another culture, learn basic Hebrew or improve your existing language skills, and see what life as a volunteer is really like. If you fancy living abroad or having the chance to stop in Israel during a tour of the Middle East during your career break, working on a kibbutz could be the perfect choice for you. What Can I Do During a Career Break?